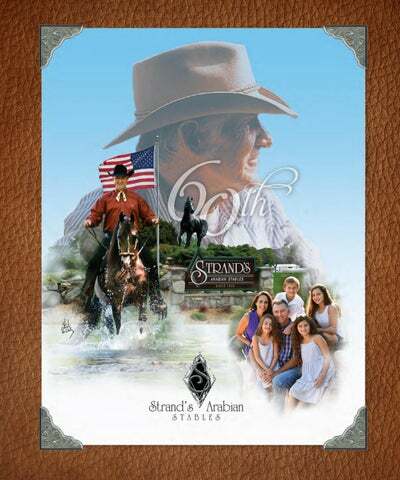 Strand’s Arabian Stables A Family Tradition for 60 Years 1958-2018 By THERESA CARDAMONE For over half a century, Jody Strand has been plying his trade on the same 55-acre farm in Iowa where he has lived since the age of five. This is the place where Strand’s Arabian Stables was founded 60 years ago. This is the place where Jody’s roots are firmly planted; far from the spotlights at world class horse shows; far from the cascades of national championship garlands and trophies that his horses win year after year. This is the place where he is raising his own family in a similar atmosphere of controlled (or sometimes not so controlled!) chaos—homework to do, debates around the table about the rotation of chores—with a similar sense of accomplishment. On the farm or in the show ring, the Strands thrive with an irreplaceable and warm good feeling that has been supported by their values for over 60 years. Jody Strand is one of the most accomplished horse trainers in the Arabian industry. From his first national award—a hard-won top ten aboard Hal Gibby (Hal Gazal x G-Amaka, by G-Amigo) in 1979— Jody Strand and his amateur clients have, especially in recent years, saturated both the purebred and part-Arabian classes for all age groups and levels of experience in the Western Pleasure discipline. 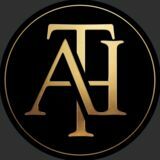 Jody is a three-time winner of the Arabian Professional and Amateur Horseman’s Association’s Western Pleasure Trainer of the Year award and thus is “retired” into the APAHA Hall of Fame. The continuity of Jody’s achievements is underlined by his inclusion on the Arabian Horse World’s “Totally Tops” list of national winners each year since its inception in 1996. In addition, Jody has had his judge’s card for over 25 years and is a Level 1 judge. Jody and Zefyr made Arabian history when they won the U.S. Open Western Pleasure Championship not just once, but for three consecutive years (2013, 2014, 2015), an unmatched accomplishment. To add to that—in a bittersweet moment—Jody and Zefyr picked up the 2016 Reserve Champion Open Western title; relinquishing their hold on the championship to Zefyr’s paternal half-brother, Diesel Smoke CBA (Sundance Kid V x C A Majia, by C A Hermoso), ridden by Jody’s longtime friend Josh Quintus. In an almost unbelievable show of continuity, Jody then rode into the Open Western Pleasure spotlight in the Finals for the fifth consecutive year; this time on the brilliant Vicario (DA Valentino x Faberge AA, by Magnum Psyche) as the 2017 U.S. National Reserve Champion. Jody Strand has been the mentor to many eager apprentices who have since become some of his steepest competition in the show ring. He is immensely proud to see them grow into successful horsemen/women. Jen Schmitt, Joe Reser, JT Keller, Ryan Strand, and so many others have flourished under his tutelage. The skills they honed under Jody’s guidance will benefit the Arabian community as a whole for many years to come. Above: Congratulations from Ryan Strand to Jody on his 2013 U.S. National Unanimous Championship. Right: 2014 double win pass amongst great friends. Zefyr and Jody with Josh Quintus and Onyx A. Left: Stuart Vesty, aka Captain Jack Sparrow, honoring the 2013 Unanimous U.S. National Championship of Zefyr and Jody. Above: Stuart always ready with the camera! Below: Some photo shoots go smoother than others. Jody is a good friend to many people and many horses, and he appreciates a good laugh. But, beyond all else, Jody Strand is a family man, raising his four children with his wife, Janice, on the same farm where he grew up. Jody and Cindy Smith with Springsteen CS. Above: Jody and Barb Sink with Dream A Lil Dream. Left: Proud Dad with Aminah on her first National Championship! It’s more family than it is a client/trainer relationship, it’s been a long-lasting friendship. “He has said I am like a sister to him,” Jill adds. “I had been planning to be married at my parent’s home, but they had a barn fire. Rather than postpone the wedding, Jody and Janice had us transfer the whole thing to his farm.” In a lovely setting with a big tent and a pond, Jody gave Jill away to her new husband. Joe Frizzell, Jody and Jen Schmitt at the APAHA Awards. Recently, the Strand children have begun to make their own names in the show ring. Megan (14) was honored to be a finalist for both the 2016 and 2017 APAHA Youth Western Amateur of the Year. She won the 2017 Youth National Champion Half-Arabian Hunter Pleasure JTR Select 13 & Under title on She Moves Me (Majesteit KWPN x The Way She Moves, by Baske Afire) who was bred by Stuart Vesty. Megan also won two 2017 Youth National Reserve Championships aboard Tamar Diamond Destiny (Neposzar x Princess Dynamite, by Poirot) in Half-Arabian Western Pleasure JOTR 13 & Under and Half-Arabian Ladies Side Saddle Western JTR 18 & Under, and two more top tens on purebreds SAS Just One Kiss (Just N Nuff x DR Fames Lullaby, by Fame VF) and Gai Bombey (A Jakarta x Gailla, by Gai Argosy). Megan already earned her first two Youth National Championships in 2016 aboard Tamar Diamond Destiny, who won the Half-Arabian Western Pleasure JTR Select 18 & Under and the Half-Arabian Western Pleasure JOTR 13 & Under. Aminah won a 2017 Youth National Championship of her own in Half-Arabian Western Seat Equitation Walk/ Jog 10 & Under on Tamar Diamond Destiny, with additional top tens on ROL What An Angel (Out of Cyte x ROL Angel Eyes, by MA Gallant Ladd) in Arabian Hunter Pleasure Walk/Trot 10 & Under and Hunter Seat Equitation Walk/Trot 10 & Under. She had two top ten wins on Tamar Diamond Destiny in Walk/Jog classes the previous year. Aminah and proud Dad on her 2017 Youth National Championship on Tamar Diamond Destiny in Half-Arabian Western Seat Equitation Walk/Jog. Jody and Janice Strand are deeply grateful for the life they have built on their family farm and the wonderful people that have supported them over the years. Their circle of friends extends far beyond the boundaries of Strand’s Arabian Stables. As time goes by, it is a safe bet Jody’s steadfast values will continue to keep him grounded and give him the foundation to meet new twists and challenges as he trains the next echelon of champions. Jody’s explanation for his continued success is more down to earth. While Shea doesn’t show horses, she is the perfect partner for her dad to go on a fun ride across the farm. “We love to take a four-wheeler ride,” Jody says with a smile. “We have a creek running through the property. I take Shea down there, and we go flying through that creek, hell-bent-for-leather, and it looks like we’re on a log ride!” Jody takes a moment to gather his thoughts. Jody Strand has earned that confidence with his steadfast adherence to the values upon which he was raised. They are the same values embraced by his father, the same values which have brought joy and prosperity to the Strands for the past 60 years on the family farm. And they are the values with which Strand’s Arabian Stables will continue with in the future. Ryan Strand. Now owner of Liberty Meadows Training Center in Bucyrus, Kansas. Beth Wilson, office manager at Strand’s Arabian Stables. Above: Farriers Ed Konicek & Brian Wolfgram with Dr. Charles Abraham. Left: Codi Strand. Now farm manager at High Star Farm in Los Alamos, California. Joe Reser Now at Shamrock Farms in Fort Worth, Texas. J.T. Keller Now owner of J.T. Keller Performance Horses in Grandview, Texas. Jen Schmitt Now head trainer at Conway Arabians in Chatfield, Minnesota. Ridden by Jill Lochner, pictured with Joe Frizzell on Sunsational Kid+//.